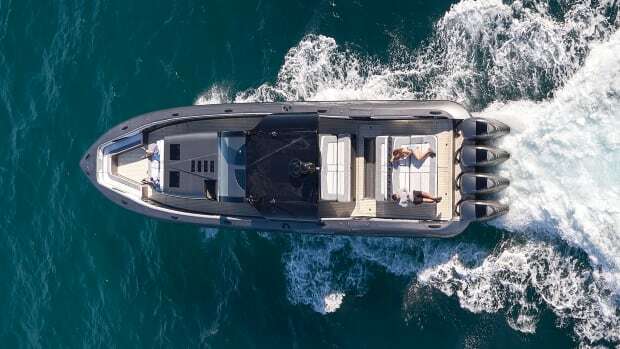 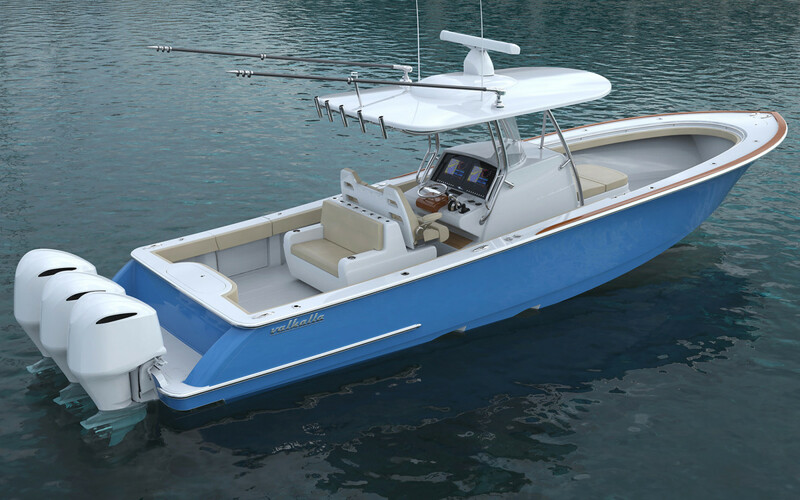 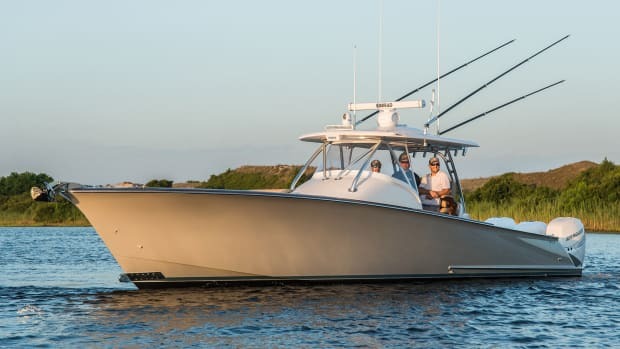 In a surprise announcement, Viking Yachts announced the formation of a new company–Valhalla Boatworks–to build a line of luxury center consoles. 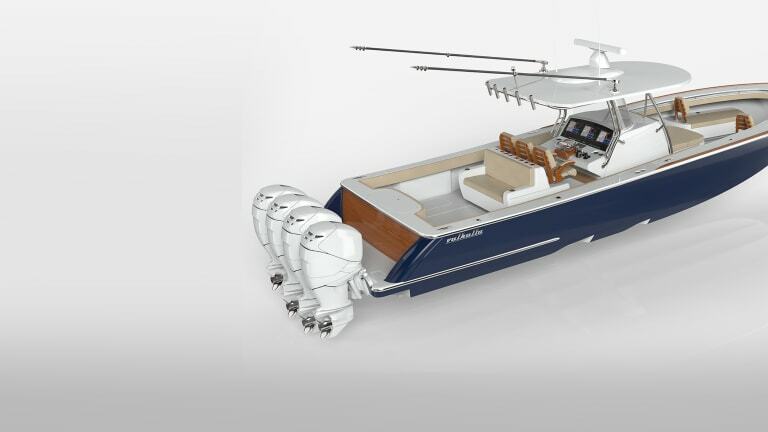 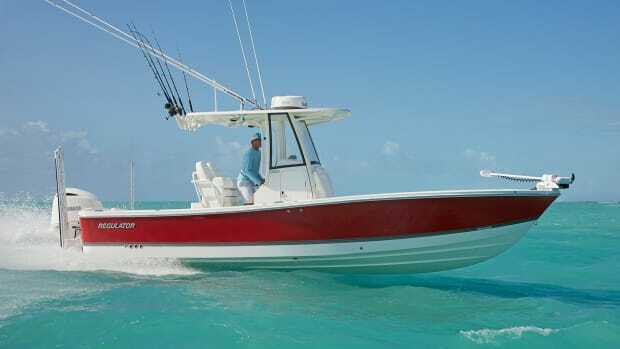 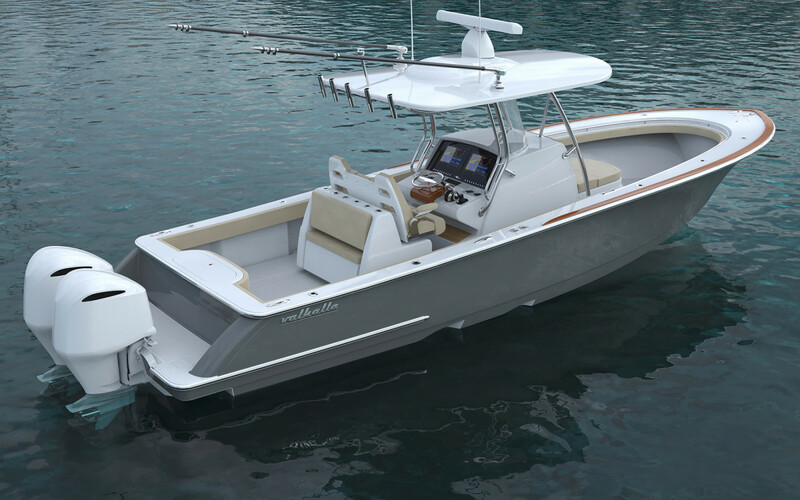 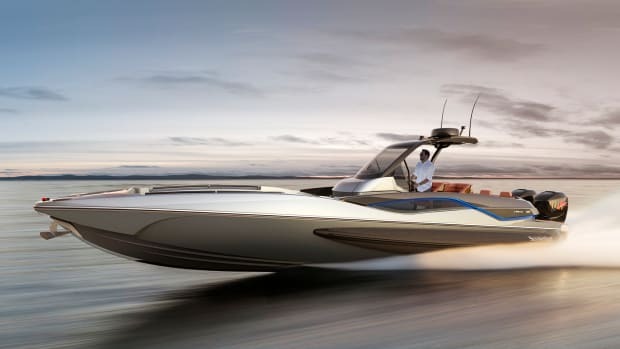 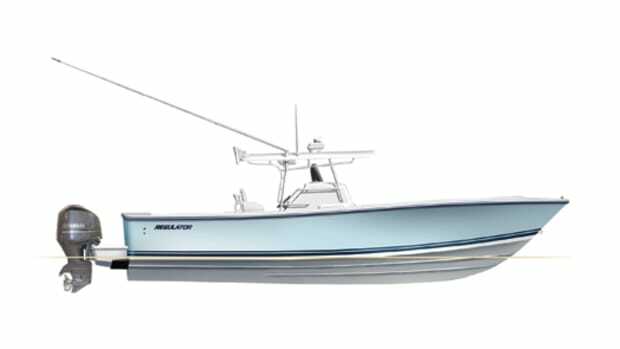 Renderings were released for 33-, 37- and 41-foot models with dual, triple and quad outboards respectively. 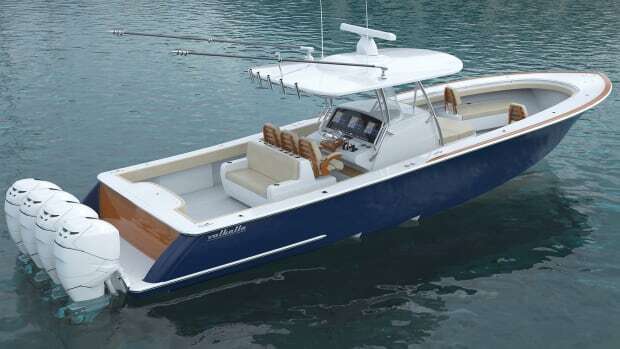 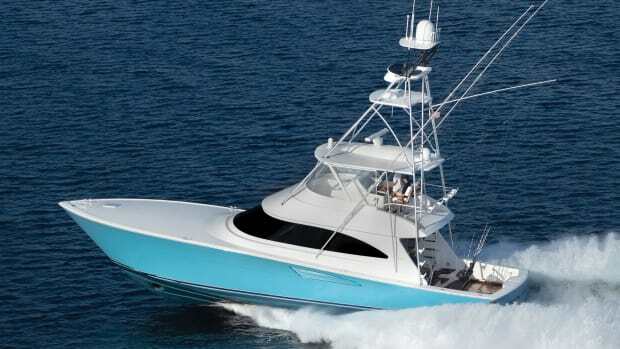 Draft w/ Engines Down: 27&apos; 1/2"
According to Healey, the hulls are a production of the Michael Peters design team, with everything above the waterline a collaboration between the Peters and Viking design teams. 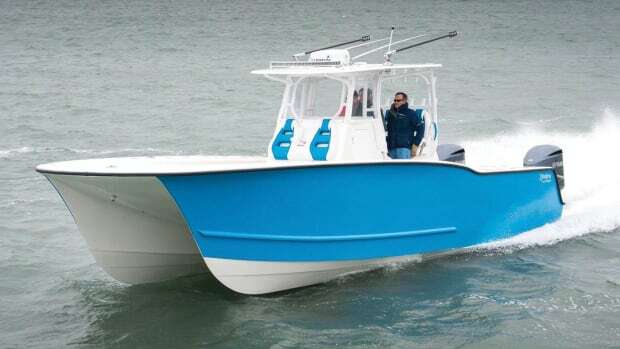 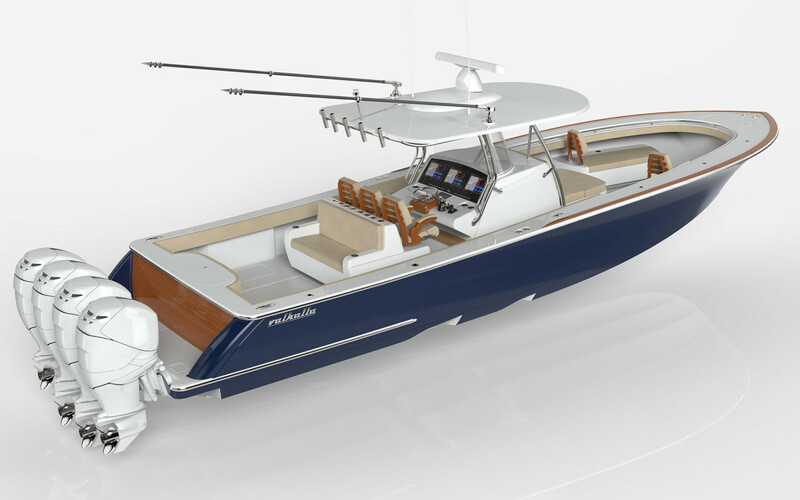 The Valhalla boats are slated to be built in the company’s Mullica, New Jersey facility. 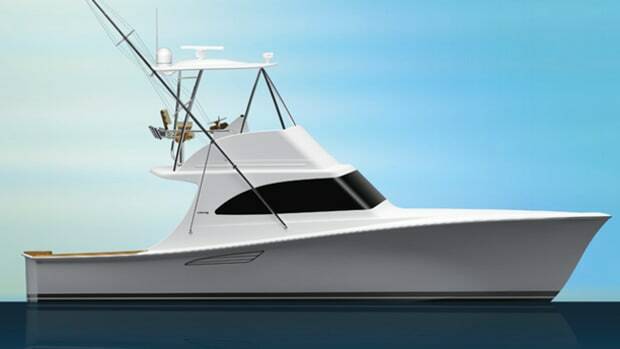 Stay tuned for more updates on this exciting new line.